University Distinguished Chair Professor, Professor of Quantitative Finance, from 2013. Professor of Quantitative Finance, Erasmus School of Economics, Erasmus University Rotterdam, The Netherlands, from 2009. Adjunct Professor, Department of Economics and Finance, University of Canterbury, New Zealand, from 2002-2014. Adjunct Professor, Department of Mathematics and Statistics, University of Canterbury, New Zealand, from 2002. Adjunct Professor, Faculty of Economics, Complutense University of Madrid (founded in 1293), Spain, from 2012. Japanese Government (Monbusho) Foreign Research Fellowship, Osaka University, 1989. Japanese Government (Monbusho) Foreign Research Fellowship, Kyoto University, 1990, 1992-93. Adjunct Professor, Institute of Advanced Studies, Australian National University, 1992-2001. Commonwealth Scholarship and Fellowship Plan Award (Canada), 1979-81. Hallsworth Fellowship, University of Manchester, 1984-85. Fortieth Anniversary Standing Fellowship in Economics, Osaka University, 1991. Visiting Scholarship, Trinity College, Cambridge, 1985, 1994. Research Award, Academic Exchange Program for Scientific Collaboration, Royal Netherlands Academy of Arts and Sciences/Academy of the Social Sciences in Australia/Australian Academy of Humanities, 1994. Royal Economic Society Visiting Lectureship, University of Edinburgh, 1994. 75th Anniversary Research Award, University of Western Australia, 1994. Fellow, Academy of the Social Sciences in Australia, elected 1996. Ho Sin-Hang Professor, Chinese University of Hong Kong, 1996. New Asia Ming Yu Visiting Scholar, Chinese University of Hong Kong, 1997. Shaw Visiting Scholar, Chinese University of Hong Kong, 1998. Japanese Government (Monbu-Kagakusho) Foreign Research Fellowship, Osaka University, 2001. Adjunct Professor, Faculty of Science, Australian National University, 2003-2006. Inaugural Fellow, International Environmental Modelling and Software Society, elected 2004. Inaugural Biennial Medal of the International Environmental Modelling and Software Society, 2004. Econometric Theory Award in Recognition of Research Contributions, Multa Scripsit, to the Science of Econometrics, 2006. Japanese Government (Monbu-Kagakusho) Foreign Research Fellowship, Yokohama National University, 2008. Erasmus Visiting Professor “Econometrics”, Erasmus School of Economics, Erasmus University Rotterdam, The Netherlands, 2008. Journal of Econometrics Fellowship - Fellow, Journal of Econometrics, elected 2008. Guest Professor, International Graduate School of Social Sciences, Yokohama National University, 2008. Tinbergen Institute Fellowship - Fellow, Tinbergen Institute, The Netherlands, elected 2009. Distinguished Visiting Professor, Complutense University of Madrid, Spain, 2009. Visiting Professor, CIRJE, Faculty of Economics, University of Tokyo, 2009. Visiting Erskine Fellow, College of Business and Economics, University of Canterbury, Christchurch, New Zealand, 2010. Visiting Professor, Institute of Economic Research, Kyoto University, 2010-2011. Distinguished Professor, College of Management, National Chung Hsing University, Taichung, Taiwan, 2010-2013. Distinguished Visiting Professor, Complutense University of Madrid, Spain, 2011. Fellow, Modelling and Simulation Society of Australia and New Zealand, elected 2011. Biennial Medal, Modelling and Simulation Society of Australia and New Zealand (MSSANZ), 2011. Ranked 3 (2008-2012) on the ESB Dutch Top-40 Citation index of most cited economists in the international literature. Ranked 2 (2009-2013) on the ESB Dutch Top-40 Citation index of most cited economists in the international literature. Associate Editor and Book Review Co-Editor, Econometric Reviews, 1989-95. Guest Editor/Co-Editor, Journal of Applied Econometrics, 1989, 2002. Member of Editorial Advisory Board, Encyclopedia of Life Support Systems, from 1996. Associate Editor, Environmental Modelling and Software, from 1996. Associate Editor, Journal of Applied Econometrics, 1990-99. Book Review Editor, Journal of Applied Econometrics, 1995-99. Member of Advisory Board, Journal of Economic Surveys, from 1991. Member of Editorial Advisory Board, Mathematical Modelling and Analysis of Complex Systems, from 2000. Associate Editor, Econometric Reviews, from 2004. Member of Advisory Board, Annals of Financial Economics, from 2004. Senior Editor, Mathematics and Computers in Simulation, from 2005. Distinguished Editorial Advisor, Review of Development and Cooperation, from 2005. Member of Editorial Board, Review of Mathematical Finance, from 2005. Member of Advisory Board, Journal of Financial and Risk Management, from 2007. Guest Co-Editor, Computational Statistics & Data Analysis (CSDA) Annals of Computational and Financial Econometrics, 2010. Associate Editor, Journal of the Japan Statistical Society, from 2010. 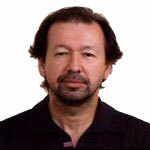 Member of Advisory Board, Brazilian Journal of Business Economics, from 2011. Associate Editor, ISRN Probability and Statistics, from 2012. Member of Editorial Board, Journal of Applied Mathematics, from 2012. Member of Editorial Board, Economics Research International, from 2012. Member of Editorial Board, Journal of Renewable Energy, from 2012. Co-Editor-in-Chief, Journal of Reviews on Global Economics, from 2012. Associate Editor-in-Chief, Journal of Mathematical Finance, 2012. Associate Editor-in-Chief, Theoretical Economics Letters, from 2012. Member of Editorial Board, Frontier of Finance & Accounting, from 2012. Member of Editorial Board, Advances in Energy Research, from 2012. Member of Editorial Board, Mathematical Economics Letters, from 2012. Member of Editorial Board, Econometrics, from 2012. Member of Editorial Board, Mathematical Finance Letters, from 2013. Member of Editorial Board, Scientific Journal of Finance and Insurance, from 2013. Member of Editorial Board, International Journal of Accounting and Economics Studies, from 2013. Member of Editorial Board, International Journal of Academic Research in Management, from 2013. Associate Editor-in-Chief, Advances in Economics, from 2013. Member of Editorial Board, Current Advances in Mathematics, from 2013. Editor-in-Chief, Journal of Risk and Financial Management, from 2013. Editor-in-Chief, Annals of Financial Economics, from 2013. Member of Editorial Board, Econometrics book series, World Scientific, from 2013. Member of Editorial Board, Economics, Management and Financial Markets, from 2013. Member of Honorary Editorial Board, Journal of Mathematical Finance, from 2013. Advisor, Scientific Research Publishing, from 2013. Member of Editorial Board, Journal of Time Series Analysis, from 2013. Guest Editor/Co-Editor, Journal of Econometrics, 2007, 2008, 2011, 2014, 2015. Advisory Editor, Journal of Economic and Financial Modelling, from 2014. Academic Editor, Archives of Current Research International, from 2014. Associate Editor, International Journal of Economy, Energy, Environment and Policy, from 2015. Co-Editor-in-Chief, Journal of Health & Medical Economics, from 2015. Editor-in-Chief, Journal of Informatics and Data Mining, from 2015. Chair, Program Committee, 1988 Australasian Meeting of the Econometric Society, Canberra (an Endorsed Australian Bicentennial Activity). Chair, Program Committee, 1993 Tenth Biennial Conference of the Modelling and Simulation Society of Australia, Perth, Western Australia. Convenor, Organising Committee, 1993 International Congress on Modelling and Simulation, Perth, Western Australia. Participating societies: MSSA, ISEM, IMACS, TIES. Chair, Program Committee, 1996 Australasian Meeting of the Econometric Society, Perth, Australia. Co-convenor, International and Interdisciplinary Conference on Simplicity, Tilburg, The Netherlands, 1997. Convenor, International Conference on Modelling and Forecasting Financial Volatility, Perth, Australia, 2001. Co-Chair, Program Committee, International Workshop on Financial Econometrics and Statistics, Perth, Australia, 2005. Co-Chair, International Program Committee, International Conference on Time Series Econometrics, Finance and Risk, Perth, Australia, 2006. Co-Chair, Program Committee, International Conference on Modelling and Managing Ultra High Frequency Data, Perth, Australia, 2008. Chair, Socioeconomic Systems Stream, 2009 World Congress of the International Association for Mathematics and Computers in Simulation (IMACS), Cairns, Australia. Co-Chair, 4th International Conference on Computational and Financial Econometrics (CFE’10), London, UK, 2010. Co-organiser, International Conference on “Risk Modelling and Management”, Madrid, Spain, 2011. Plenary speaker, Fifth International Mathematics in Finance Conference, Kruger National Park (Skukuza Camp), South Africa, 2014. Keynote speaker, 6th CEQURA Conference on Advances in Financial and Insurance Risk Management, Munich, Germany, 2015 .